One workers’ compensation benefit is temporary total disability or TTD benefits. These are benefits for lost wages. 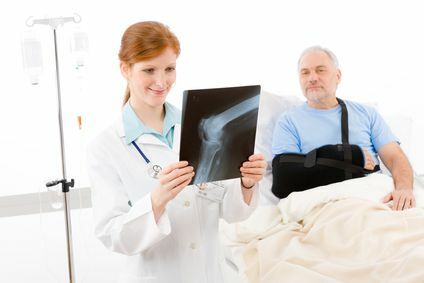 The insurance company pays they when you are unable to work because of your injury. Also, if you return to work but are making less money because of your injury, you receive benefits for your reduced earnings. These benefits are called temporary partial disability or TPD benefits and are discussed in this other article. What if I have to Miss Work because of an Injury? When you initially suffer an injury at work, you may find that the injury prevents you from going back and doing your regular job. Your doctor may also give you light duty restrictions. If your employer does not have light duty work available, these restrictions may keep you out of work. When Do Temporary Total Disability Benefits Start? Temporary total disability benefits do not start immediately in Georgia. You may not receive any benefits for the first few days that you are out of work. The Georgia Workers’ Compensation law has a seven day waiting period. So, you will not receive benefits for the first week you miss from work. If you miss three weeks consecutively, the insurance company should come back and pay you for this initial waiting period. Do I start getting TTD benefits after 7 days? No. The 7 day waiting period just makes you eligible for benefits. The insurance company still has twenty-one days from the first date you missed work to start paying you workers’ compensation benefits. So, be prepared to go three weeks without a check when an injury disables you from work. When the workers’ compensation insurance company starts paying you temporary total disability benefits, they should pay you all benefits due upto that point. Also, they will start paying you on a weekly basis as long as you are eligible to receive temporary total disability benefits. The amount of your temporary total disability benefit check is based on the amount you were earning from your employer on average at the time of your injury. Your earnings can include wages, tips, per diems, and other benefits (for a more complete discussion, see this article). They can also sometimes include earnings from second or third jobs. How is Average Weekly Wage Calculated? In most situation, your employer or their insurance company should take your gross earnings from the thirteen weeks before your injury. The average of the thirteen week of earnings is your “average weekly wage”. You should receive a document called a Form WC-6 that explains how your average weekly wage was calculated. Be sure and save this document so you can refer to it later. When you are paid temporary total disability or permanent partial disability benefits, your check should be two-thirds of that average weekly wage, subject to a maximum of $575 per week (or less if your date of injury was prior to July 1, 2016). So, if your average weekly wage was $600, you will receive $400 per week (two-thirds of $600) in temporary total disability benefits. In some situations where you did not work most of the thirteen weeks before your injury, the insurance company will use the wages of a similar employee to determine your average weekly wage. It can be difficult to determine who qualifies as a similar employee. The insurance company may try to use someone who has lower wages than you. If there is no similar employee, your “full time weekly wage” will be used. In either one of these situations, your temporary total disability amount will still be two-thirds of the average weekly wage subject to the maximum amount mentioned above. What about temporary partial disability benefits? Temporary partial disability benefits are paid when you are working but making less per week than you were making before your injury. Your average weekly wage is important in calculating those benefits. 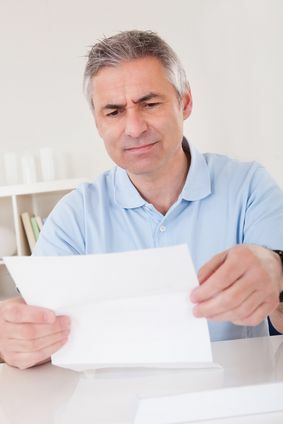 Read this article for more information about payment of temporary partial disability benefits and how the amount of temporary partial disability benefits is determined. Generally, you receive temporary total disability benefits while you are out of work because of your work injury. You can only receive temporary total disability benefits for 400 weeks after your date of injury, unless your case is designated catastrophic. This may seem like more than enough time. It is for most injuries. But serious injuries that cause permanent restrictions often make it very difficult to return to work. In this situation, you need to consider requesting a catastrophic designation. Probably the most common reason that TTD benefits stop is a return to work. When you return to work, you are earning wages again so the insurance company does not have to pay you temporary total disability benefits anymore (although they may have to pay you temporary partial disability benefits if you are making less money because of your injury). Another event that can cause your benefits to stop is your doctor saying that you are able to return to full duty work without restrictions. 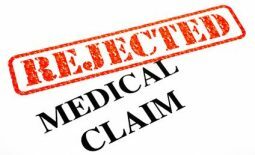 If your authorized treating physician releases you without restrictions, the insurance company will be able to stop paying you temporary total disability benefits if they file the proper paperwork. There are other events, such as the failure to cooperate with medical treatment, that can potentially cause your temporary total benefits to be suspended as well. Regardless of the reason that the workers’ compensation insurance company stops paying you benefits, you will want to make sure that they have the right to do it under the law. I hope you have found this information helpful. If you have questions or would just like to talk to an attorney, I offer free consultations regarding workers’ compensation cases. 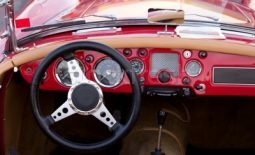 To find out what that is, what you will learn, and how to set one up, just take a look at this article that explains the free consultation in more detail.